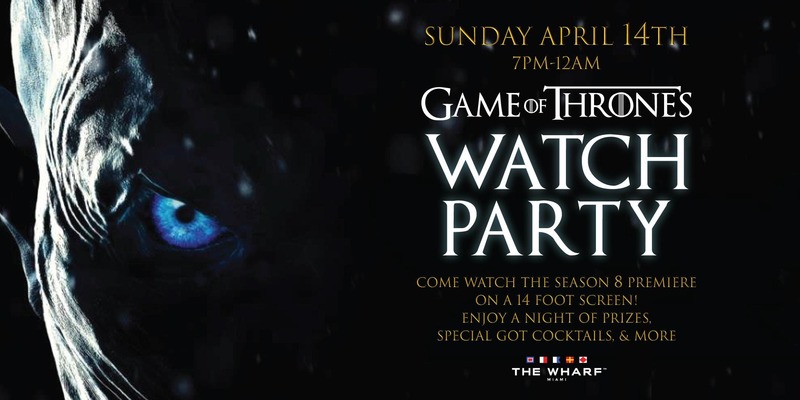 Sunday Night, April 14th, come watch the season 8 premiere of the final season of Game Of Thrones on a 14-foot screen, along with hundreds of other GOT fans! Enjoy a night of prizes, special GOT cocktails, & more! Enjoy Live Music, Eats, Cocktails & Good Times! Children, & leashed dogs welcome with parent or guardian before sundown. DRESS CODEProper Dress Attire Required. Venue reserves the right to deny entry at doorman's discretion. SUPERHERO BRUNCH: Natl' Superhero Day Celebration! JOIN US SUNDAY, APRIL 28TH, 2019, SUPERHERO BRUNCH AT THE WHARF: National Superhero Day! FRIDAY, MAY 17TH, 2019, SPRIS ARTISAN PIZZA PRESENTS NATIONAL PIZZA PARTY DAY CELEBRATION!